Searching For a Painting Contractor in Lookout Mountain, TN? Tennessee is known for its picturesque scenery and rolling hills that make it so unique, but they are also known to have a good Lookout Mountain painting contractor. Try Williams Painting Company for quality painting. You can’t go wrong with our painting services as we are able to paint any type of home in the Lookout Mountain area and beyond. When deciding to have your Chattanooga home painted, you’ll need to load yourself up with lots of questions to interview them with. You don’t want to hire an amateur painting team only to find out that your home is their first job ever. How long have you been doing business in the Lookout Mountain area? Are you a member of a local painter’s association? Have you painted other homes in the neighborhood? Always arm yourself with these and other valuable questions and you’ll be less prone to hire a painting contractor without any references or history in your area. If you have ever made the attempt to paint your home either the interior or the exterior, then you know just how tough the task can be. Getting into ever little crevice is enough to drive you up the wall not to mentions the neck and back sprains that you suffered. You can save time by calling the Lookout Mountain painting contractors at Williams Painting Company. At the Williams Painting Company, we get results. Our house painters have lots of experience which is truly hard to find these days. If you ever thought that painting was easy, then try tackling a major project such as your home’s exterior. We have the equipment and the know-how to get your home changed from boring to less boring one stroke at a time. Our services speak for themselves just ask your neighbors who have taken advantage of us in the past. There are lots of things that can affect the look of the exterior of your home. Weather is to blame for about 90% of how a home looks. Heavy winds produce lots of branches and other types of debris that can make your home unsightly. 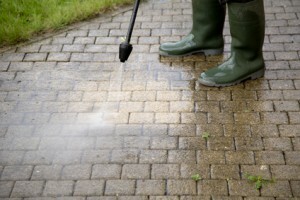 Not only can your Lookout Mountain pressure washing contractor do interior & exterior painting, but they can also pressure wash your driveway and home as well. Get your home looking its best through our pressure washing services. It will give your home that refreshed look. I just want to take a quick minute to say thank you so much for sending your painter. He was very polite and very professional and did an amazing job! My porch looks fabulous! Thank you so much! I appreciate it. Nice doing business with you. If you are looking for a Lookout Mountain painting contractor, please call 423-870-3615 or complete our online request form.